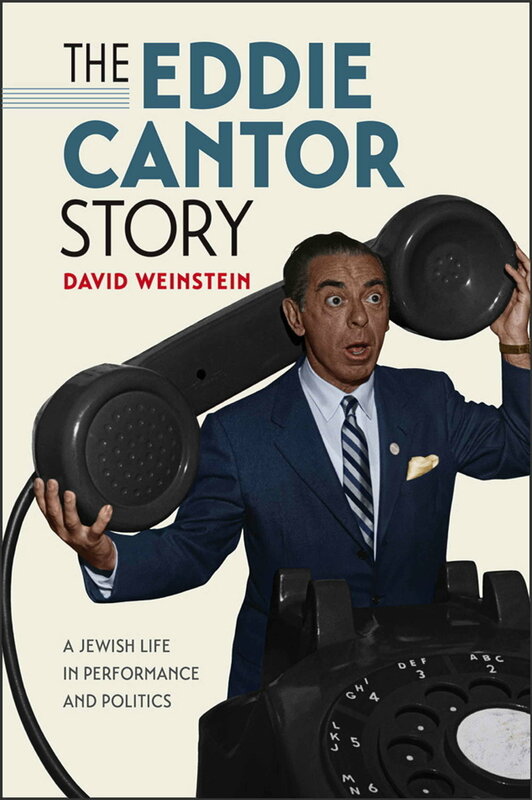 Website of David Weinstein, author of The Eddie Cantor Story: A Jewish Life in Performance and Politics (Brandeis University Press, 2017). This book explores the life of Eddie Cantor: star of vaudeville, Broadway, radio, and television. David is also the author of The Forgotten Network: DuMont and the Birth of American Television (Temple University Press, 2004) and several articles about media, cultural, and Jewish history. More about The Eddie Cantor Story here. David Weinstein is a historian who lives and works in the Washington, D.C. area. He is the author of two books: The Eddie Cantor Story: A Jewish Life in Performance and Politics (2017) and The Forgotten Network: DuMont and the Birth of American Television (2004). He holds a Ph.D. in American studies from the University of Maryland and a B.A. from Brandeis University. David has written and spoken widely about popular culture and American Jewish history. He has appeared on C-Span Book TV and has been interviewed on NPR, the BBC, and many local radio and television programs and podcasts. He has also taught at the University of Maryland and George Mason University. David currently serves as a senior program officer in the Division of Public Programs at the National Endowment for the Humanities.